Almost a week after making Donald Trump the President of the United States, the Illuminati regained control of Bolingbrook’s Clow UFO Base. Over the weekend Illuminati disciples entered Clow and laid siege to the New World Order’s embassies and offices. There were no causalities, but dozens were injured during the minor skirmishes. 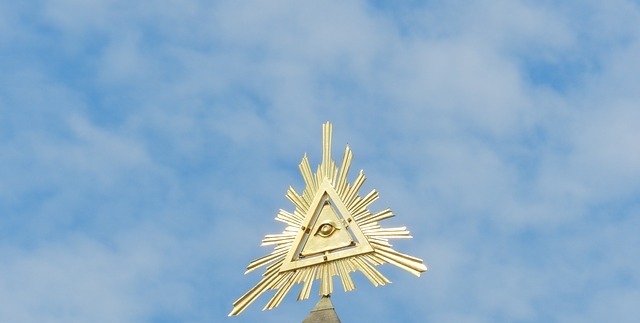 Before the election, the Illuminati was perceived as a secret society in decline. The decline started in the 1970s, when the New World Order split off and seized control of Earth’s UFO Bases. While they could influence political primaries, it was long assumed that New World Order had the final say in who ruled the United States. After upsetting NWO candidate Hillary Clinton, Illuminati has now managed to capture over fifty percent of Earth’s UFO Bases, including Clow. Other bases, include Rochelle’s Hub 52 base, have either repelled the attackers, or still being disputed. While all NWO members were expelled from Clow, staff and diplomats from the skeptical movement will be allowed to stay at Clow. She added, “You will bow down before the ones you will serve. This is the beginning. Watch what you say, we can read your minds. This is the beginning of the end! I don’t have to cite Trent Reznor, do I?" God is smiting America now! Letters to the Editor: Time to vote!